Over the past weekend, all the pieces for my Halloween costume were obtained. 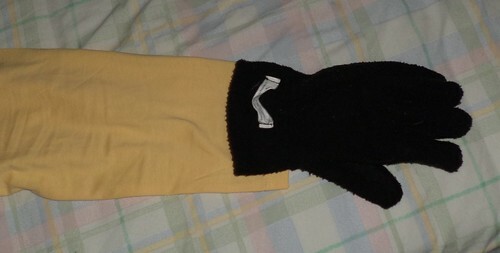 Yellow long-sleeved tee shirt purchased on sale. 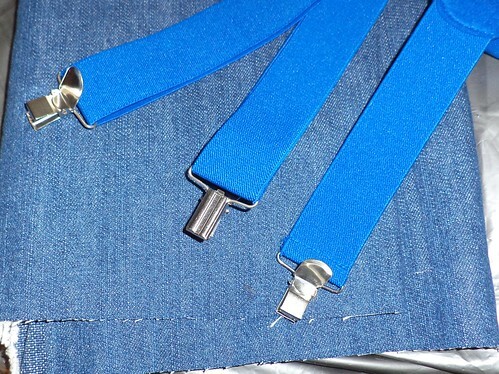 Blue suspenders purchased from Party City and a chunk of blue denim obtained from JoAnn Fabrics. I need to dig out the sewing machine now. I have 2 weeks to get this done. Any bets on my waiting until the 28th to work on this?